Frost Dental Group is a restorative and cosmetic dentistry practice based out of Rutherford, NJ and has served the surrounding communities of East Rutherford, Lyndhurst, Clifton, and Bergen County for over 6 decades. In 1955, William Frost, DDS, founded this practice with the same principles as the hardworking people of Northern New Jersey. Rutherford dentist, Dr. Lee T. Frost is a second generation dentist who shares the same mentality of honesty and hard work. When you visit Frost Dental Group, your smile is our top priority. Our entire team is dedicated to providing you with the personalized, gentle care that you deserve. Part of our commitment to serving our patients includes providing information that helps them to make more informed decisions about their oral health needs. This website is a resource we hope you’ll find both useful and interesting. Our entire staff is dedicated to offering the best in cosmetic dental care to Northern New Jersey families, and it shows – many families have been with our practice for four generations. In fact, only around ten percent of our patients still live in Rutherford; the rest choose to commute to our practice due to the personalized care we provide. At our new state-of-the-art dental office in Rutherford, we offer a multitude of dental procedures including many cosmetic dentistry procedures such as dental implants, porcelain veneers, zirconium crowns, root canals, tooth extractions, Invisalign®, and teeth whitening. 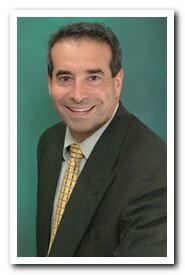 Schedule an appointment today with our Rutherford dentist; Dr. Frost and his team would love the chance to restore your smile. We genuinely hope this site is helpful to you in learning more about our Rutherford dentists, dental conditions and treatments, dental recommendations, and more. Please browse through our website and be sure to give us a call at (201) 438-8870 if you have any questions or would like to schedule an appointment.